Celebrate 30th wedding anniversary with your wife with our collection of Top 10 pearl anniversary gifts. 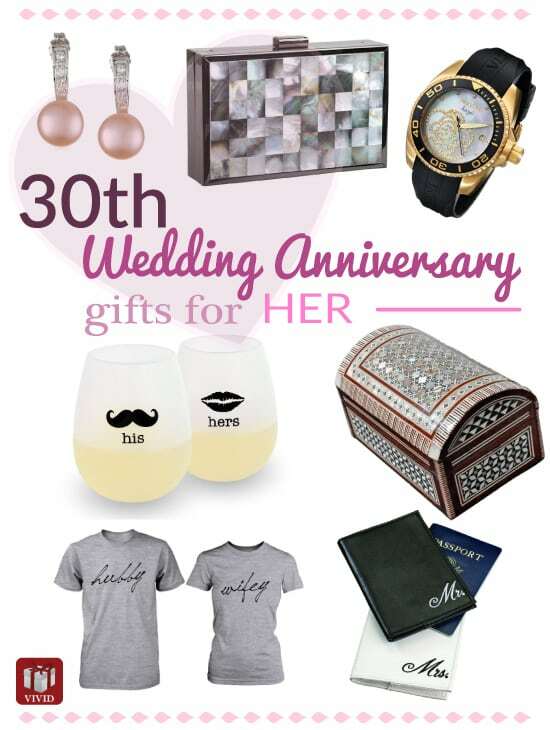 We have handpicked traditional pearl gifts and modern 30th anniversary gifts for her here. Scroll down to discover now! For the pearl anniversary, let’s start with pretty pearl jewelries loved by women. 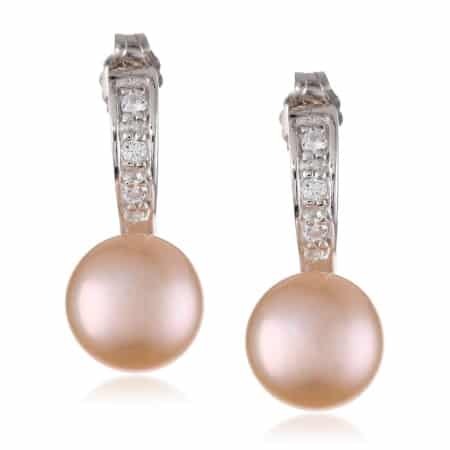 This pink pearl earrings is an excellent choice. Lustrous, round pearl accented with sparkly gemstones. Its design is sleek, elegant and feminine. A timeless piece that looks graceful on women. You can also get this beautiful watch for her. 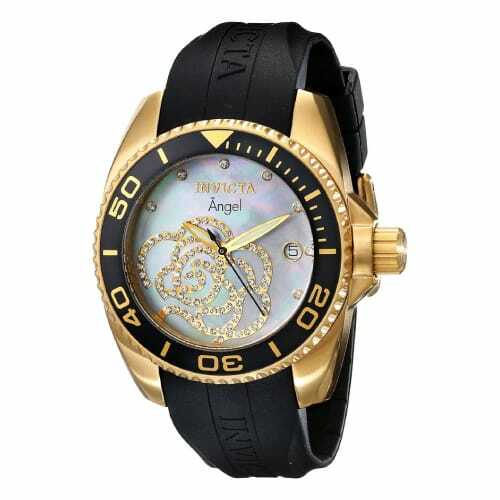 Unique mother-of-pearl dial with sparkly rose design, diamond adorned hour markers, 18k gold-plated stainless steel case and durable black polyurethane strap. By Invicta. This watch looks chic and stunning. 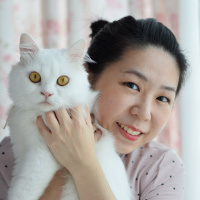 It makes one of the best traditional pearl anniversary gifts. 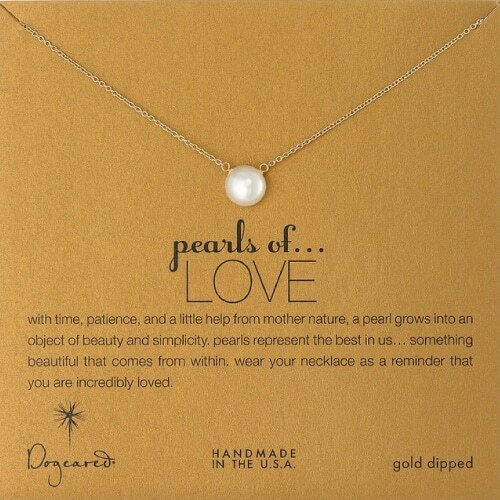 Pearls of Love Necklace for your beloved wife. Featuring single white pearl on a delicate gold-dipped chain. Simple and classy. She will definitely adore it! A vacation for two makes a fantastic 30th anniversary gift for her. Hold her hand, bring her to see the world would mean so much to her. 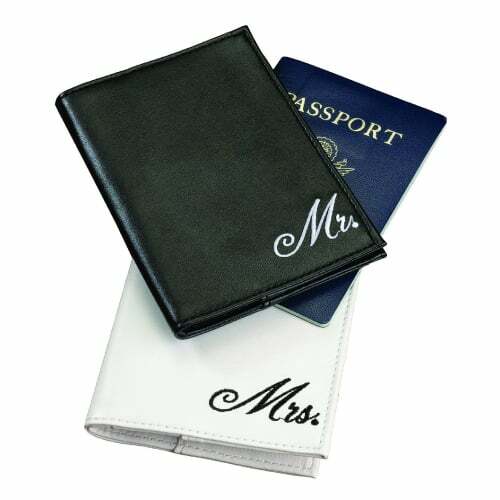 This set of black and white passport covers is perfect to use when you are travelling. Made of quality faux leather embroidered with “Mr. and Mrs.” They create exciting honeymoon feel of newlyweds. 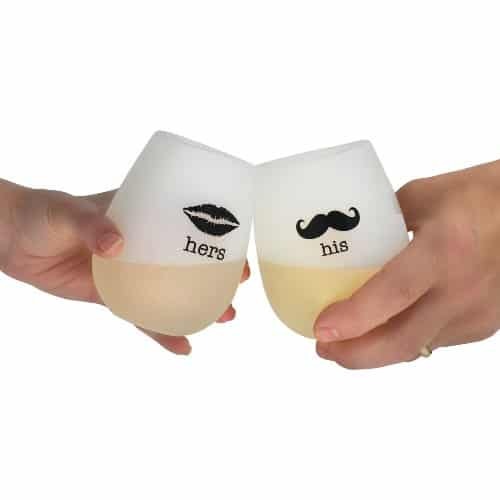 For the 30th wedding anniversary, you can also get these charming wine glasses for her. Made from food-grade silicone that is shatterproof. It is a cool glass that looks super cute. Provides “unbreakable” fun for the upcoming party. This wine glass is also foldable. It is great for pool party, concert, travelling and more! She will also love this pink ring. 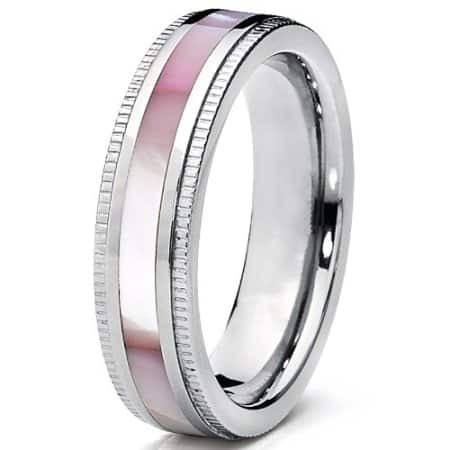 Made from durable titanium metal with shiny mother of pearl. The color is vivid and it looks amazingly lovely when it catches some light. This Egyptian mosaic trinket box is another superb pearl anniversary gift for wife. 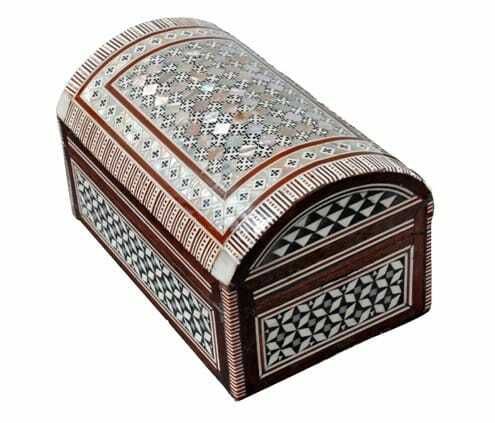 Beautifully crafted from wood with striking design and mother of pearl inlay. Great for storing jewelries and small stuff. Sending her a love poem will surely touch her heart. We recommend this sentimental poem written by Genie Graveline. It is nicely worded, meaningful, and romantic. 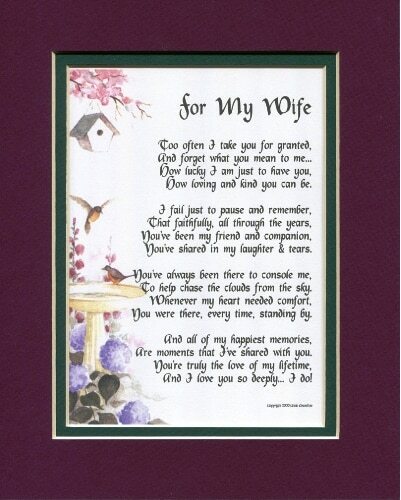 Enhanced with delicate watercolor graphics, it is perfect to show your love to your wife. Another romantic 30th anniversary gift. Matching couple shirt for the hubby and wifey. 100% cotton. It is soft and comfy to wear. Let’s end the list of pearl anniversary gift ideas for her with the last but not least, pearl themed item. 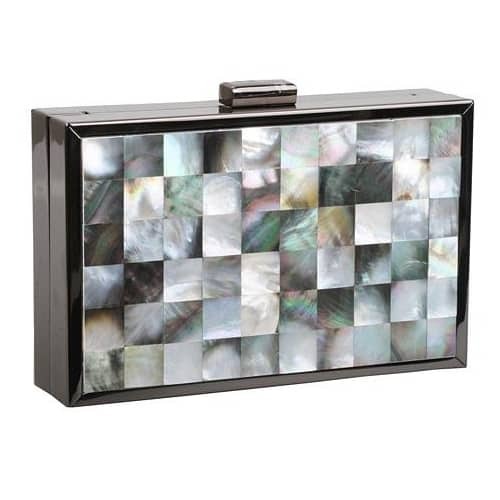 A vintage style evening bag featuring mosaic mother of pearl detail. Eye-catching, luxurious looking. Goes well with any casual or dressy look. That’s the Top 10 Pearl Anniversary Gifts for Her. Have a happy 30th anniversary celebration. Thanks for reading!